The underground economy is toxic. It costs jobs, makes it harder for above-board businesses to compete and ruins faith in our tax system. It can also leave you holding the bag when you get sub-par results or someone gets burned in a cash deal. But there is something we can all do, and it's simple. Gabe Hayos, FCPA, FCA The author is vice-president of Tax at CPA Canada and one of the country's leading tax advisors. The underground economy is toxic. It costs jobs, makes it harder for above-board businesses to compete and ruins faith in our tax system. It can also leave you holding the bag when you get sub-par results or someone gets burned in a cash deal. With an estimated value of $45.6 billion in 2013, according to Statistics Canada, the underground economy is a problem so big that any single person might feel powerless to correct it. But there is something we can all do, and it's simple. Don't spend your money on people and businesses that don't play by the rules. Seek out and reward businesses that are run with integrity. If enough of us deny business to shady operators, together we can begin to erode the underground economy and eventually eliminate it. Don't spend your money on people and businesses that don't play by the rules. 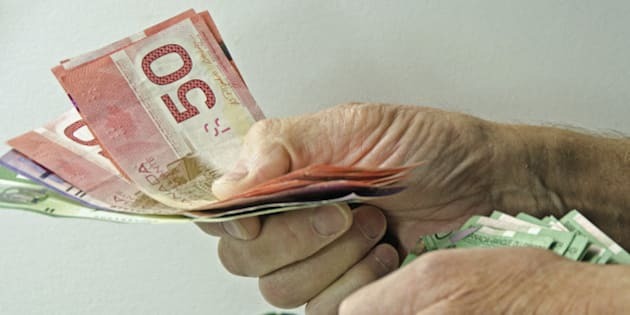 The Canada Revenue Agency (CRA) says reducing participation in the underground economy is a matter of fairness that requires collaboration and commitment -- no one organization or government can do it alone. It needs partnership, and that's why the CRA has enlisted CPA Canada and other organizations to change behaviour and the attitudes that drive it. As a member of the minister of national revenue's underground economy advisory committee, I welcome the opportunity to work with people from industry and academia in providing input on Canada's strategy to reduce participation in, and acceptance of, under-the-table dealings. The U.K. tax authorities are thinking about making specific business services and licences available only to businesses with a valid tax registration. The idea is to make it easier for businesses to register for and pay tax, and harder for them to shirk their responsibilities. For example, tax registration could be made a condition of access to licenses issued by local authorities for taxis, trading, scrap metal, planning or property rentals -- all sectors with high numbers of underground economy operators. The U.S. Internal Revenue Service is moving away from reviewing tax returns to target specific areas of tax risk more broadly. First, widespread non-compliance issues are identified, like cheating related to employee fringe benefits or losses from hobbies. Then mitigation strategies are designed to suit the risks, whether through targeted audits, letter-writing campaigns or guidance. The IRS is also training auditors to specialize in specific business types and their common issues, such as the potential for skimming in gas stations, restaurants and other cash-intensive businesses. The Australian Tax Office's framework for tackling the underground economy includes community engagement as a key component, with communication strategies that leverage influencers such as industry associations, community organizations and the media to spread their anti-tax cheat messages. Tax practitioners are singled out as particularly influential, given their involvement in the filing of 93 per cent of small business tax returns. Important to all underground economy strategies are efforts to change behaviour, nudge more compliance upfront, and exploit data and analytics to better understand and target areas of non-compliance. The Canada Revenue Agency uses a mix of these approaches. Its campaigns include using social media products and channels to shift attitudes on the supply and demand sides. Operators are told that operating a business in cash and not keeping records doesn't make them immune from taxes. Employees are told about the benefits they lose when they work for cash. Learn more on the CRA's website. The CRA is also working to boost the profile of its Informant Leads Program. Its National Leads Centre accepts detailed information from the public. The CRA wants to hear from honest taxpayers who believe others are making it more difficult for their businesses to compete. Over 32,000 leads were shared with the centre in the past year alone. While many of us are averse to "snitching," keeping quiet and turning a blind eye condones and supports behaviour that creates huge costs for us all. For stories on the underground economy, check out CPA Magazine'slatest issue.